Last week winter seemed to be winding down, with above-freezing temps forecast clear up to Canada before St. Patrick’s Day. 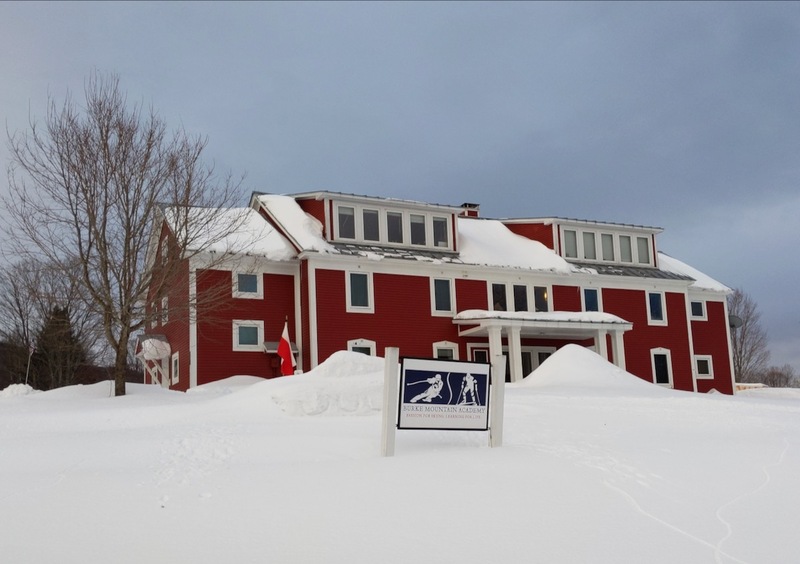 Desperate to extend winter, I had my sights on a storm forecast to dump nearly a foot of new snow across northern Vermont. After considering my options, I locked onto a hill I’d overlooked in 20 years of skiing Vermont: Burke. 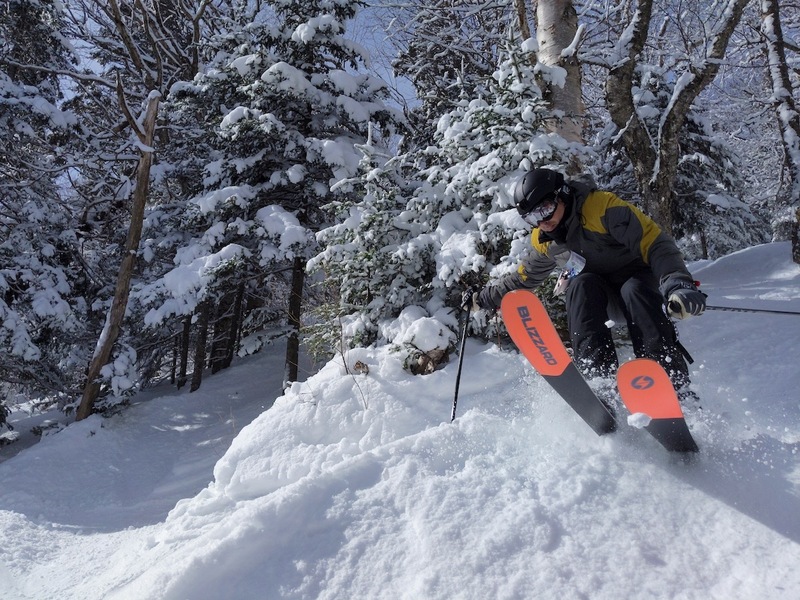 I’d read the online commentary: steep, funky, heavily gladed, classic New England twisty with high-quality snow well-preserved by cold temps and a lack of crowds. But to get there you have to drive past some big-name ski areas, most with equal or greater vertical drop, skiable acreage and average annual snowfall. Further research uncovered a secret Burke advantage over its better-known neighbors: unlike other mountains that require a post-expressway slog of 30-plus miles on local roads, Burke sits just seven miles off Interstate 91, meaning it was actually the closest northern Vermont option by drive time. As 10 inches of snow piled up Sunday and Monday and areas to the south teeter-tottered along a freeze-thaw cycle that would turn ungroomed trails to granite, Burke looked like my last best shot at mid-winter conditions. Two days after the storm, on the last day of below-freezing temps, I left Brooklyn at 4 am and arrived at 9:15. A high-speed quad ran out of the base area and deposited me near the Mid-Burke Express summit lift, just above the recently opened and expansive Burke Mountain Hotel and Conference Center. Gangs of racers competing in the NorAm Finals swarmed the area in their skinny skis and GS suits. 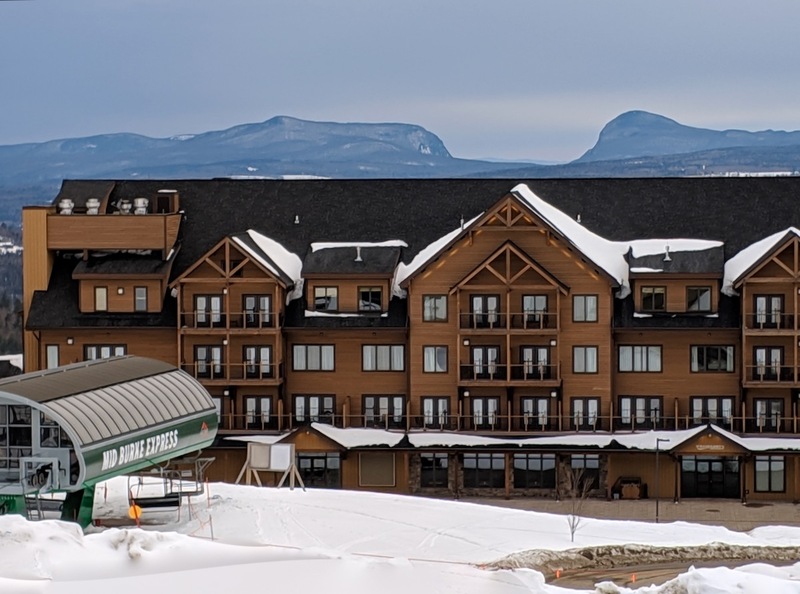 Burke, home of the elite Burke Mountain Academy – which has produced more than 30 Olympians, including two-time gold medalist Mikaela Shiffrin – has a particularly strong racing heritage, making it an ideal setting for large-scale events like this. But I was here for the snow. I met up with Matthew Bramble, founder of the Northeast Winter Weather & Ski Conditions Facebook group, and his friend Kristofer, a former college ski racer. Sensibly, they’d stayed close to the mountain the night before and had already hammered out a few groomers when I arrived. They joined me on a fast lap of black diamond East Bowl, which contrary to its name, is a narrow and winding lane buffed with steep blind rollers and snow that had stayed grippy and smooth since the storm. Next, we pointed our tips into Burke’s labyrinthine glades. We started with Sasquatch, a short, tight shot packed wall to wall with fluffy bumps that dumped out into Power Line, a narrow bolt of snow that cut straight down the fall line and opened into a broad mogul field. At the bottom sat Dixiland, a double-black thriller arcing over the mountainside like a rollercoaster that only goes down, scary steep up top, before mellowing into meadows of widely spaced old-growth trees. Powder days aside, the snow was the best I’d skied all season – light, combustible and deep enough that I sunk my 50-inch pole up to the handle without hitting bottom. With the racers sequestered to a few trails, we had the place to ourselves. Finding it every bit as steep, thrilling and old-school as online whisperers claimed, we skipped lunch and spent several hours in the glades. We hit the how-do-they-label-this-a-single-black steeps of Scooby Doo, the milder but steady pitch of Marshland, and the shorter but thrilling Caveman and Throbulator. 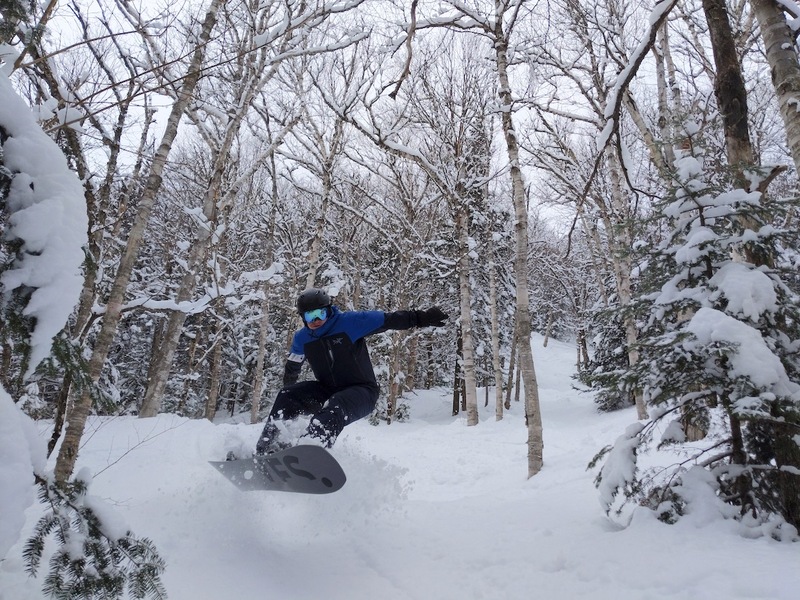 Matthew, armed with some local intel, led us to a few powder stashes that remain undisclosed. 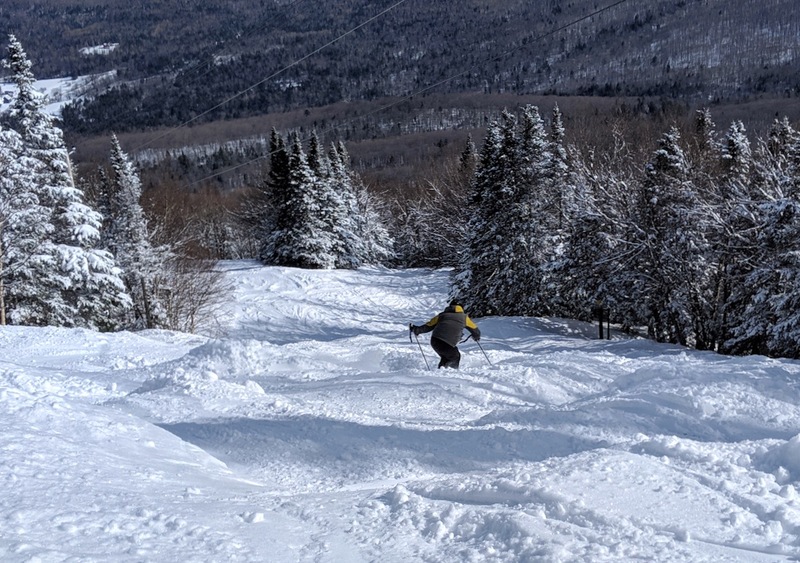 When the glades are good, I typically don’t bother with groomers, but Burke’s slopes were so empty and inviting, and the snow was so carveable, that we took several late-afternoon laps on the blue and black trails that weave off the summit. I’m not a particularly fast skier, but I leaned on my edges and opened the throttle in the forgiving snow, trailing Matthew – one of the faster snowboarders I’ve ridden with – and race veteran Kris to the base. We finished in the trees, heading skier’s left into The Jungle, a twisting, tight and dead-vertical double-black thrasher that dumps into the blue square Wayne’s World glade. 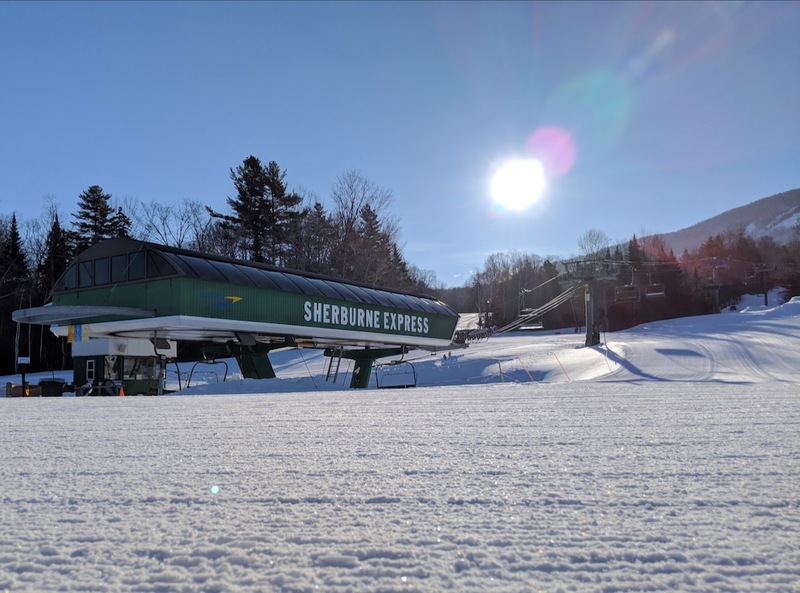 From there, we meandered toward the base lodge in the novice area beneath the lower lift, the Sherburne Express. This collage of green trails and small terrain parks is a bit of a hidden part of Burke, since most visitors will likely spend the day lapping the 1,582 vertical feet on the Mid-Burke Express summit lift. But this overlooked part of the mountain is likely one of the best novice areas in the entire Northeast, a combination of mild pitch and isolation from the experts lapping the steep terrain off the summit. I had a long drive home and left when I reached the base, but Matthew and Kris stopped in the Mid-Burke Lodge, a vestige of the pre-mega-hotel character that still defines Burke, for an après beer. They then spent time exploring the town of East Burke, where they fueled up on hot sandwiches and energy drinks at the rustic Northeast Kingdom Country Store, a sort-of diner/general store selling groceries, prepared food and Vermont souvenirs. The store, much like the mountain itself, was uncrowded, quiet and charming – the kind of place you visit once and know you’ll return. Hey Stu, good for you guys! I gotta go there, asap. Keep the stories coming. So enjoy! Great article! I noticed that you don’t have much information on Titus Mountain in Malone, New York. Do you write your own content or do you prefer to have someone else send it in? That will be my home mountain, once I retire. I hope it’s still in good hands then. They recently sold a large chunk of land across from 114, hopefully it doesn’t become overly developed. Great post. Dan… seems like a great choice. Barry… if you are volunteering to be our Titus reporter please email me! I had an inkling that Burke was my kind of place, and that has been confirmed. Sweet report and pics guys, thanks for stepping up. Miss skiing Burke from my living in Boston days. Really underrated place in my book. Especially the woods! They will probably go until April 14th give or take a week. 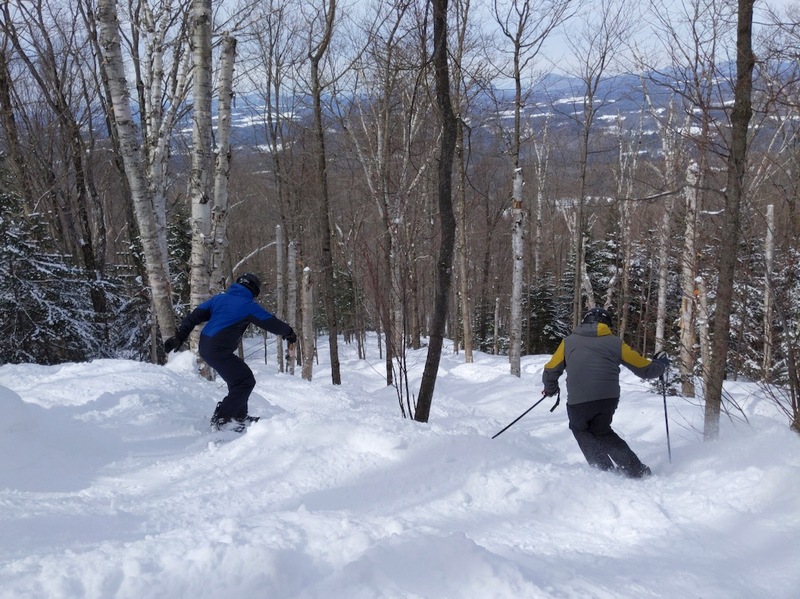 I would go earlier rather than later if you like glades, but they have lots of snow on the trails in general except for things like the lift lines. Best skiing I have ever experienced!